Her name is found on her husband's WWII draft registration. Found her on the 1920 Icard, Burke, North Carolina census (dist 12 img 18) as Ollie Finger age 26. Found her on the 1930 Icard, Burke, North Carolina census (dist 6 img 15) as Ollie Finger age 36. PENN YAN - Howard C. Coates, 69, of Bluff Point RD 5, Penn Yan, died at his home yesterday afternoon. Funeral services will be Wednesday at 2 p.m. in the Townsend Thayer Funeral Chapel in Penn Yan. Burial will be in Lakeview Cemetery. Friends may call at the funeral home Tuesday from 2 to 4 and 7 to 9 p.m.
Mr. Coates, a vineyardist, was a lifetime resident of the area and resided at his present address since 1959. He was a member of the Bluff Point Methodist Church. Survivors include his wife, Jenieve Hopkins Coates; a son, Robert Charles Coates; three daughters, Mrs. Rodney (Olive) Folts, Mrs. Norman (Rachel) Fingar and Mrs. Floyd "Buck" (Pauline) Lane, all of RD 5, Penn Yan; 14 grandchildren; one great-grandchild and several nieces and nephews. Found him on the 1930 Jerusalem, Yates, New York census (dist 10 img 9) as Howard C. Coates age 25, married. Farmer. He and his wife Grenevieve and daughter Olive are living in the household of his parents. Found him on the 1940 Jerusalem, Yates, New York census (dist 62-12 img 10) as Howard Coats age 36, farmer. Found her on the 1881 Chelsea, London, England census as Julia Finger age 39. Found her on the 1930 Wsashington, Dutchess, New York census (dist 90 img 7) as Helen Couse age 13. Morton Fingar who has been traveling for some time, in the western and southern states has returned to the home of his parents, Mr. and Mrs. Lewis Fingar - The Pine Plains Register February 12, 1920. Found him on the 1900 Gallatin, Columbia, New York census (dist 12 img 3) as Morton L. Fingar age 10. Found him on the 1910 Gallatin, Columbia, New York census (dist 11 img 11) age 20. Found him on the 1915 Gallatin, Columbia, New York state census (AD01 ED01 img 2) as Morton L. Fingar age 25, farmer. His wife is Nina. Found him on the 1930 Gallatin, Columbia, New York census (dist 14 img 6) as Morton L. Fingar age 40, farmer. Father: Robert Bostwick FINGER Jr.
Found her on the 1930 Gainesville, Hall, Georgia census (dist 10 img 8) as Helen Finger age 9. Found her on the 1880 Randolph, McLean, Illinois census (dist 159 img 6) as Matilda Finger age 5. Found her on the 1885 Walnut, Bourbon, Kansas state census (img 12) as L. Finger age 10. Found her on the 1895 Walnut, Bourbon, Kansas state census (img 9) as Matilda Finger age 21. Found her on the 1900 Walnut, Bourbon, Kansas census (dist 52 img 7) as Matilda F. Finger age 25, single, living at home. Found him on the 1930 District 2, Shelby, Tennessee census (dist 166 img 30) as Rose Finger age 7. Found her on the 1910 Jacobs Fork, Catawba, North Carolina census (dist 26 img 4) as Subettie Finger age 4 months. Found her on the 1920 Lincolnton, Lincoln, North Carolina census (dist 106 img 12) as Sue Bettie Finger age 10. Found her on the 1930 Lincolnton, Lincoln, North Carolina census (dist 15 img 14) as Sue Betty Finger age 20. Found him on the 1915 Paton, Greene, Iowa state census age 2. Found him on the 1925 Paton, Green, Iowa state census age 11. Found him on the 1930 Dawson, Greene, Iowa census (dist 3 img 12) age 17. Found him on the 1940 Twelve Mile Lake, Emmet, Iowa census (dist 32-21 img 2) as Wayne Keagel age 27, farm laborer. Unknown why the name has changed. Found him on the 1910 New Albany Ward 7, Floyd, Indiana census (dist 82 img 5) age 1. Found him on the 1920 New Albany Ward 6, Floyd, Indiana census (dist 79 img 29) age 10. Found him on the 1930 New Albany, Floyd, Indiana census (dist 9 img 13) age 21, single. He is living with his sister and her husband Jack Lipps and Elsie Finger Lipps. Found her on the 1900 Red Hook, Dutchess, New York census (dist 36 img 9) as Iva Fraleigh age 12. Found her on the 1910 Amsterdam Ward 1, Montgomery, New York census (dist 51 img 12) as Iva P Fraleigh age 22, single, living at home. Seamer, knitting mill. Found her on the 1920 Germantown, Columbia, New York census (dist 17 img 10) as Ethel Funk age 3½. Found him on the 1910 Menominee Ward 5, Menominee, Michigan census (dist 217 img 2) as John Hranach age 38, manager in department store. Found her on the 1850 Van Buren, Onondaga, New York census (img 2) as Mary Hudson age 9. Found him on the 1900 Ironton, Lincoln, North Carolina census (dist 109 img 29) age 7. Found him on the 1910 Ironton, Lincoln, North Carolina census (dist 69 img 49) as Lewis Lee Keener age 17. Family 1 : Herbert Horton EDWARDS Jr.
Found her on the 1930 Hamden, New Haven, Connecticut census (dist 139 img 4) as Phyliss LaSuke age 2 years 2 months. Address: 72 Third St.
Found him on the 1910 Mineral Springs, Richmond, North Carolina census (dist 104 img 4) as Charles B. Pegram age 9 months. Based on their ages, Charles and James may have been twins. Found her on the 1850 Potter, Yates, New York census (img 36) as Anna Wells age 55. Found her on the 1850 Jerusalem, Yates, New York census (img 31) as Mary A. Tears age 8. Found her on the 1860 Benton, Yates, New York census (img 47) as Mary A. Tears age 17, domestic, living in the household of Henry Collier age 62. Found him on the 1920 Knoxville Ward 26, Knox, Tennessee census (dist 117 img 5) as Ernest C. Underwood age 12. Found him on the 1930 Knoxville, Knox, Tennessee census (dist 71 img 27) as Ernest C. Underwood age 22, single, living at home. Farm laborer. Mrs. Charles Cookingham, 85, former resident of Stanfordville, who had made her home with her daughter, Mrs. Ida Hoffman of Pine Plains, the last six years, died unexpectedly in the Northern Dutchess Health Center Saturday morning. Mrs. Cookingham was removed to the hospital Friday after she suffered a stroke at her home. 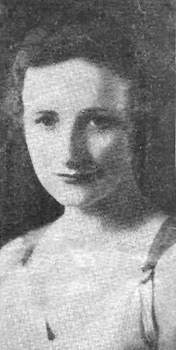 Her husband, who had been associated with the Borden Milk Co. for many years, died in 1954. The former Miss Mary Van Benschoten, Mrs. Cookingham was born in the Town of Stanford, Jan, 25, 1873, the daughter of the late Arthur and Emeline Finger Van Benschoten. 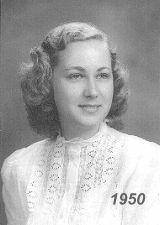 Surviving, in addition to her daughter, are three sons, Russell Cookingham of Astoria, L. I.; Harold Cookingham of Ancramdale and Bevan Cookingham of Amenia; 21 grandchildren and 19 greatgrandchildren.